This, That, and T'other: Tagged ~ Memories from 2008. Tagged ~ Memories from 2008. My good blogger friend LDH over at A Grateful Prayer and Thankful Heart tagged me here. I enjoy reading her blog, and I am sure that you will also! This book, which my husband gave to me for Christmas the year before we started dating, is one of my favorites. I don't have children of my own, but I work daily with 25 precious children, and the knowledge I have gained from this book has proved invaluable! This book was a college textbook of mine. 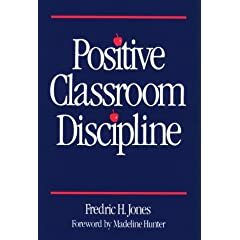 It is out of print, but is an amazing teaching resource. The author has implemented his techniques in numerous large, failing schools, and seen amazing results! This novel, by Joseph Bentz is a must read. I have always wanted to hold my own child in my arms, and have thought many times about what might happen if God does not choose to bless us in that way. This book explores the emotions and heartache of infertility, and the joy and peace that can come from God being in control of the situation, no matter what. I am not a huge fan of sports movies, but this one's inspiring message to trust God, no matter what touched my heart. Longwood Gardens in Kennett Square, PA was absolutely gorgeous. We were there in July. The entire time all we seemed to do was take pictures. Such a beautiful place! Digital scrapbooking is tons of fun and not nearly as messy as paper. Besides that, it is a great way to do blog backgrounds! Hmmm. . . there are oodles, and a lot of them relate to blogging. Here's one on The Cutest Blog's website. God provides even when the economy doesn't. Spending Christmas with my entire family (7 siblings, Mom and Dad) for the first time in 3 years. It may take me a couple days but I'll get my list together. So glad you played along. I like reading about your love of teaching ~ you must be a really great teacher! It isn't hard to take zillions of pictures at Longwood Gardens. Everything is so beautiful. When our girls were younger we would go there after church each Easter. The last time we were there was at Christmas time and it was spectacular. The Jeremiah verse is one that has encouraged me many times. Thanks for posting.